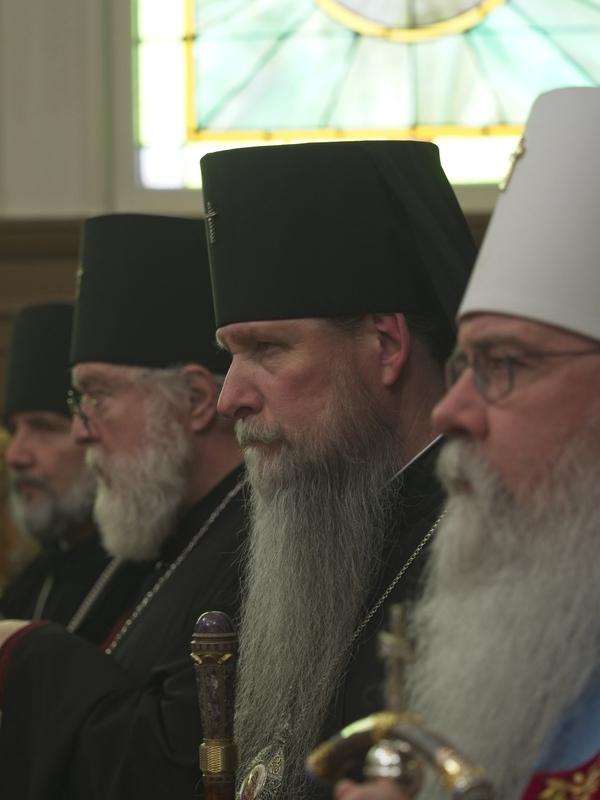 The Primate of the OCA the Most Blessed Tikhon Archbishop of Washington, Metropolitan of All America and Canada presided over the Vespers Service for the Sunday of Orthodoxy. Praying with him were the Most Reverend Benjamin Archbishop of San Francisco and the West (Ruling Bishop, OCA), the Right Reverend Daniel Bishop of Santa Rosa (auxiliary of the Diocese of the West, OCA) and His Eminence Archbishop Kyrill. 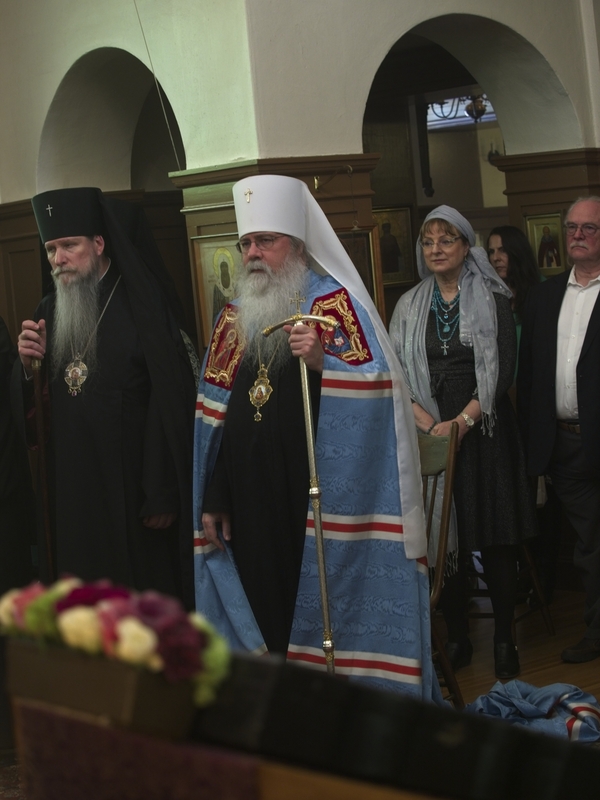 Archpriest Kirill Sokolov, Dean of Holy Trinity Cathedral, and Protodeacon Brendon Doss officiated. 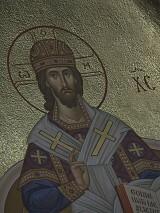 Present in the cathedral were many local clergy of the OCA, monastics and laity. 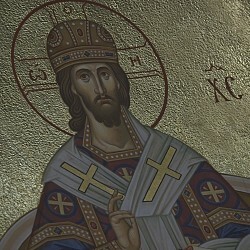 There were several clergy and laity from the Western American Diocese (ROCOR) in attendance. 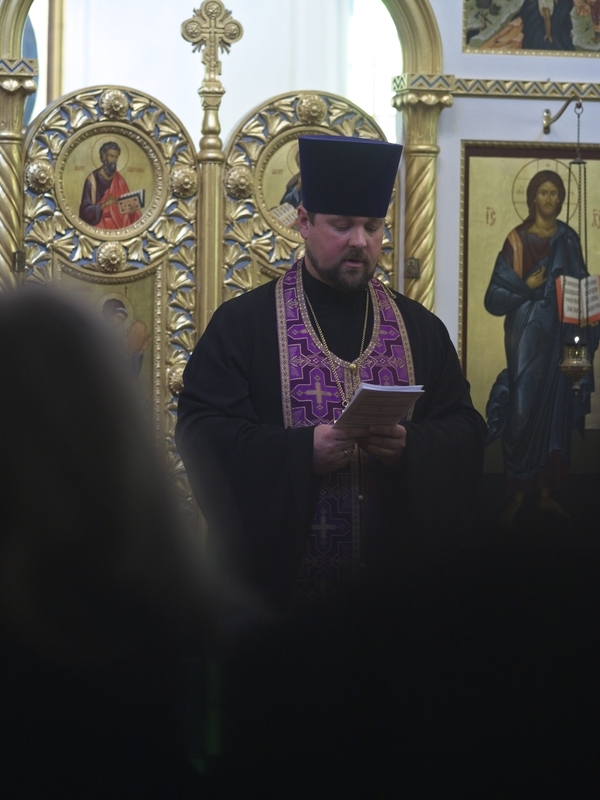 Metropolitan Tikhon offered the homily at the end of Vespers and a repast in the church hall afforded an opportunity for fellowship. 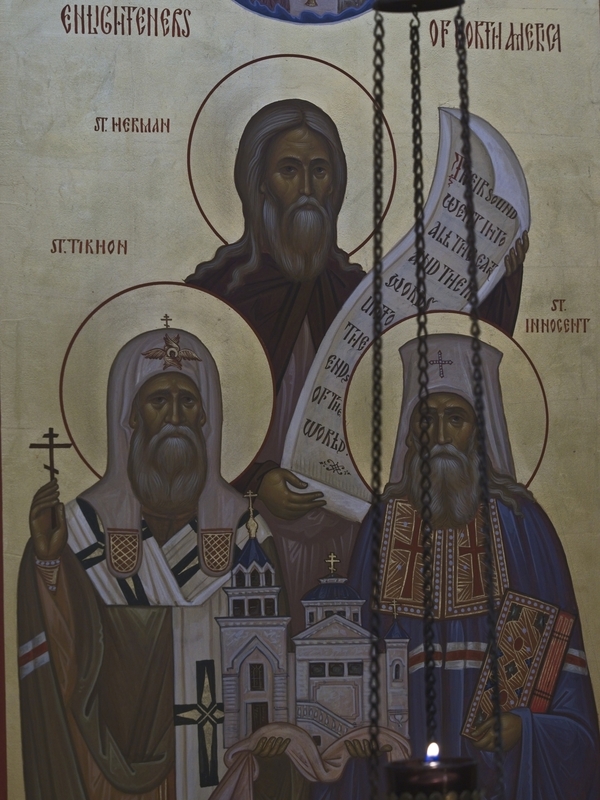 In the invitation that Archbishop Benjamin extended to His Eminence Archbishop Kyrill, it was stated in reference to the break in Communion between the Moscow Patriarchate and the Patriarchate of Constantinople that “in this troubled time in the life of the Church” the presence of His Eminence would demonstrate “solidarity between our two Churches.” Archbishop Kyrill was very pleased to have been invited and pray with hierarchs of the Orthodox Church in America, its local clergy, monastics and laity.